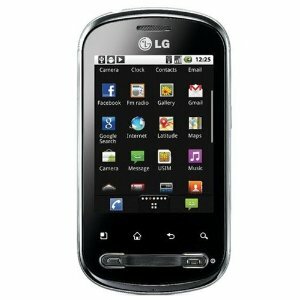 Unlocked LG Optimus Me Phone w/ Android OS, Wi-Fi, GPS, Camera & More only $14.99?! Wow! Now, this might be a price error, bought I bought one just in case! (the worst that'll happen is the order gets cancelled and I get refunded!) Head over to Amazon to score an unlocked LG Optimus Me phone for only $14.99! If you have Prime or make a $25 eligible purchase, it will ship for free. Otherwise, you'll need to pay shipping (mine was $5.23) At the time of posting this, there were only 12 in stock, so hopefully you're able to get one before they sell out! Document viewer, Organizer; Voice memo, Predictive text inputa and MP4/ MP3/ player. microSD, up to 32GB; Stereo FM radio with RDS and GPS Navigator with A-GPS support.